Top racing duo Andrew Jackson and Leo Bult have this week confirmed they will step up to NZ Championship level next season when they share a full campaign in the forthcoming Toyota 86 Championship aboard the ex-Speed Works and Jaden Ransley car. The new team will run under the banner of Darkhorse Racing and the two drivers will race three.. 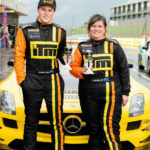 Sibling rivalry and a staunch male/female battle are on the cards for the Dayle ITM Mike Racing drivers Brendon Leitch and Christina Orr-West in the Carter’s Tyres South Island Endurance Series’ opening race at Teretonga Park on Saturday. While Invercargill-based Leitch will be facing down his big brother Damon, on their home track, New Zealand’s top female circuit racer Orr-West.. This Saturday September 15th will see a massive field of cars journey south to Teretonga Park, Invercargill for the opening round of the three round Carters Tyres One Hour Race Series. 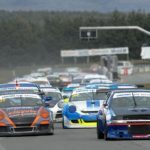 Run alongside the Carters Tyres South Island Endurance Series, the 2018 Series is again a qualifying series for the New Zealand One Hour Endurance Championship to be held at..